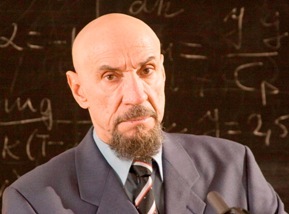 Academy Award winner F. Murray Abraham is often thought of as a European, and indeed he has been honored by the Italian government for his contributions as an artist of Italian descent. But Mr. Abraham was born in Pittsburgh, PA, to Italian and Syrian parents. While he is best known for his brilliant portrayal of Mozart's driven rival, Salieri, in "Amadeus," Mr. Abraham has starred in many outstanding features both in the US and abroad. In a career that spans over thirty years he's played Stalin, Abraham Lincoln, the Viceroy of Peru, and Al Capone twice! He’s played major parts in Brian De Palma's "Scarface," Woody Allen's "Mighty Aphrodite," "The Last Action Hero," "Star Trek: Insurrection," and opposite Sean Connery in both "Finding Forrester" and "The Name of the Rose." He's traveled the world to make both theatrical and TV films, and has played everything from Mafiosi in Italian productions like "Excellent Cadavers" to biblical characters ranging from "Lot" in "Noah's Ark" to "Mordecai" in the story of "Esther." The part of Sasha's Russian professor/mentor "Gross" in "Perestroika" is a perfect fit for the internationally acclaimed actor. Sam Robards is a virtual chameleon among character actors, having appeared in over fifty movies and TV shows. Mr. Robards, familiar to New York theater goers, was nominated for a Tony award in 2002, for his feature role in Arthur Miller's "The Man Who Had All The Luck." His first movie saw him directed by Paul Mazursky in "The Tempest," and he hasn’t stopped since. He has taken prominent parts in Robert Altman's "Pret a Porter," "Bright Lights, Big City," "Casualties of War," "American Beauty," "Life as a House," "Mrs. Parker and the Vicious Circle," and Steven Spielberg's "Artificial Intelligence." Mr. Robards is familiar to TV viewers for his many appearances in series ranging from "The West Wing" to "Gossip Girl." Slava Tsukerman found Mr. Robards the ideal fit for the difficult and complex role of Sasha, who, on the cusp of middle age, finds both his political and sexual identities hopelessly divided. When she was a twelve year old, attending the Bank Street School in New York, Ally Sheedy wrote a story that became a best selling children's book. But her career in writing took a detour after she appeared on TV’s "Mike Douglas Show" and started to get work as a performer. Playing in TV and theater from the age of 15, Ms.Sheedy made her first big splash in a memorable TV movie about anorexic teenagers, "The Best Little Girl in the World." Other distinguished work in television continued, including a recurring role in "Hill Street Blues." But a part in "Bad Boys," playing Sean Penn's girl friend, and major roles in "War Games" opposite Mathew Broderick and "Oxford Blues" with Rob Lowe turned her into a movie star. That stardom was cemented with John Hughes's seminal teen comic-drama "The Breakfast Club." Ms. Sheedy's first adult role in the popular hit, "St. Elmo's Fire," opened a new chapter in her career. This Joel Schumacer-directed hit was followed by a torrent of star turns, in "Short Circuit," "Maid to Order," and "Heart of Dixie," and many others. But it was as the drug-possessed photographer in Lisa Cholodenko's "High Art," that saw Ms. Sheedy reinvent herself for a whole new audience. The doomed, tragic heroine of this highly acclaimed indie drama brought her an Independent Spirit award for best female performance of 1998 as well as the Los Angeles Film Critics award. Since then Ms. Sheedy has been directed by a virtual who's who of independent filmmakers, including Allison Anders, Adrienne Shelley, and Michael Almereyda. 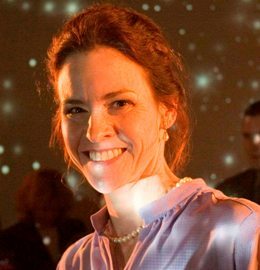 Add to that name, Slava Tsukerman, who has cast her as the fiery wife of the deeply conflicted Astrophysicist "Sasha" in "Perestroika." Jicky Schnee was a fashion model with an international profile who is rapidly making a name for herself an actor, since 2004. Her first features were the US indies "Flavors" and Eric Schaeffer’s "Mind the Gap." Since then Ms. Schnee has kept busy with TV roles in "Law and Order" and "Hope and Faith." She will soon appear in actor Justin Theroux’s directing debut, "Dedication." Ms Schnee will soon appear opposite Michael Kelly and Rip Torn in "Afterlight." Slava Tsukerman selected Ms. Schnee, a native Texan for the roll of "Jill," an American photographer and sometime lover of his protagonist, Sasha, after auditioning over 35 other actresses. A versatile actress comfortable in both comedy and drama, Oksana has played 45 leading parts on stage and appeared in more than 40 feature and TV films. Maria, who was born in the small, provincial city of Kirovograd, was discovered by Slava Tsukerman when he began his Moscow casting. When she came to meet him the writer/director was struck by her remarkable understanding of the character in his script. Tsukerman claims that the young actress opened his eyes with her insights into aspects of the character he had yet to explore himself.